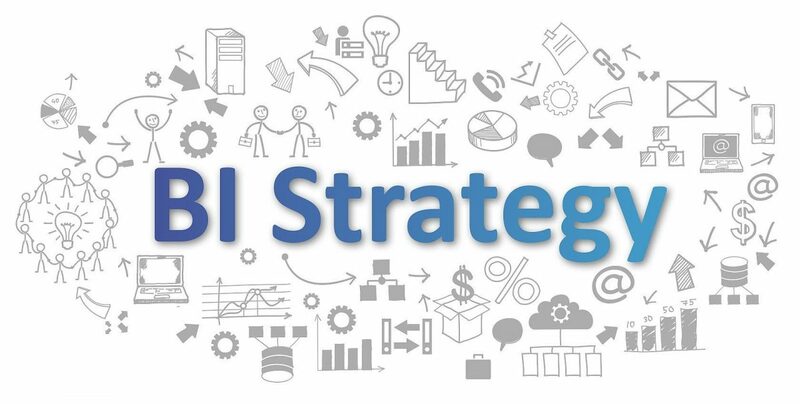 Questions for Companies… Business Intelligence strategy? I’m often asked to speak with companies about their Business Intelligence strategy, and I hear a handful of common questions. I wanted to summarise some of them for those who want to know what companies tend to ask and what a starting place for a discussion might be. What tips and advice would you give a business looking for BI software? Be sure you know what your capabilities are both in terms of staff expertise and infrastructure. Ultimately your staff will have to live with the technology choices and business process changes that your BI solution entails, so make sure that you build what your staff can sustain and develop into an increasingly effective and mature component of your IT portfolio. Don’t try to get tools to do everything right at once. Focus on tools that help solve your “80% problems.” Do your research. There’s lots of strong, vendor-agnostic information out on the Internet. Subscribe to The Data Warehouse Institute (free at TDWI.org) and read their online analyses of products and strategies. How do businesses know what to look for in BI software? Many will hire consultants to help with their first BI deployment, and experts in BI tools and integration will guide them through a process of identifying which tools and which vendors will suit the most critical needs at the outset of the effort. Others look to hire a few key individuals who have done similar deployments and steer toward the product they’ve had success with in the past. Most companies (especially those with young or growing BI practices) should seek out their colleagues at other companies and ask about the real truth beyond the vendor hype. Ask for wins they achieved and pain they suffered through. Everyone will have a different set of pros and cons for their particular vendor and package choices. Determine whether they apply to you, and if so, how you can mitigate them or how to approach vendors with your specific concerns in mind. What key features or capabilities do you recommend a business look for in a solution? Key areas to focus attention on are “standard” operational reporting and “ad-hoc” reporting — most users will expect to be able to select fields/data elements they need for a report and click a button that gets the data they need. Online Analytical Processing (OLAP) or “slice-and-dice” reporting — users are familiar with Excel pivot tables and will expect to explore data in this format. It’s critical to be able to dive into the data and investigate relationships by navigating its “dimensions”. Dashboards and visualisations — these have so much attention and visibility right now, and many vendors’ product suites will have some tool that allows you to organise data in sophisticated graphical presentations. Moreover, users are familiar and comfortable with consumer-grade tools and websites that offer these, so adoption rates should not be hampered by a lack of accessibility. More common questions coming up next month! Mr. Briggs has been active in the fields of Data Warehousing and Business Intelligence for the entirety of his 17-year career. He was responsible for the early adoption and promulgation of BI at one of the world’s largest consumer product companies and developed their initial BI competency centre. He has consulted with numerous other companies about effective BI practices. He holds a Master of Science degree in Computer Science from the University of Illinois at Urbana-Champaign and a Bachelor of Arts degree from Williams College (Mass). Surely by now everyone has heard about Big Data? Self-Serve Business Intelligence, What Got us Here? Our Big Data Nightmare Comes True! What do Data Warehouse & Business Intelligence professionals have to contribute to a company’s Big Data agenda?